Just this week from kplr11.com comes the news that a "Fisherman catches Missouri-record giant striped bass" here. 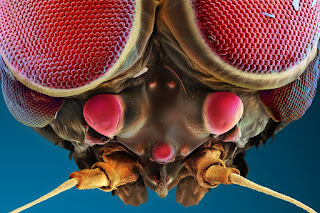 Also, from nationalgeographic.com's "Proof" pages comes "Seeing Eye to Microscopic Eye," a pcitorial article that is truly worth a look here. Finally, from the National Geographic YouTube channel, a recent upload features "Frog-Licking and Other Florida Wonders." Enjoy!